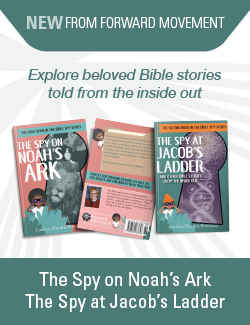 King Solomon told us 3,000 years ago that there’s nothing new under the sun. I have to remind myself of that when I see the faces of angry white men with torches marching in the darkness. I think about you, parents and grandparents and godparents and other grown folk who love and are raising children, and what you have to talk to them about breaks my heart. But none of this is new. We may be periodically lulled into believing that slavery, Jim Crow, and the Klan are fever dreams from which we have been cured, but these are the tares the enemy has sown into the wheat. These hateful weeds have killed far too many people, and the body count continues to rise. 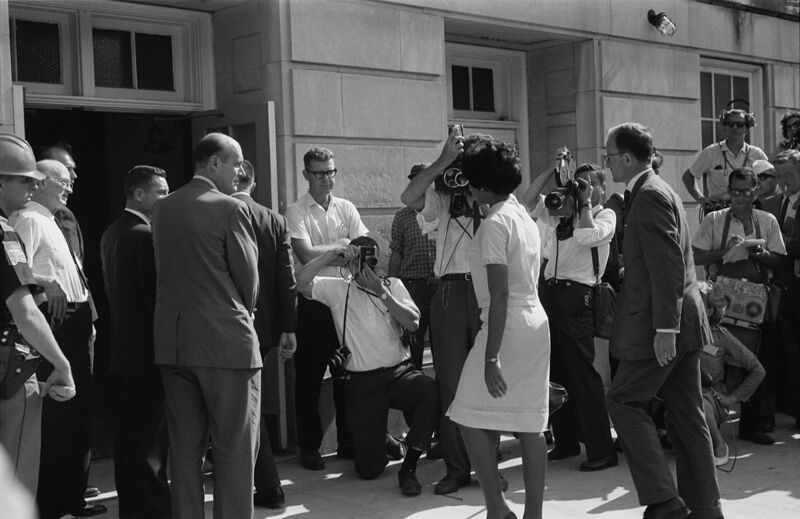 Vivian Malone Jones arrives to register for classes at the University of Alabama, 1963 (via Wikimedia Commons). I remember many conversations with my father about racism and the ugliness he grew up seeing. When his high school in rural west Alabama was integrated in the late 1960s, violence shut the entire district down for three weeks. A young black woman lost her life. My father and his brothers stayed at their public high school while many of their white friends and neighbors fled to private schools. He was called reprehensible names by people he’d spent his whole life believing were friends, but this was nothing compared to what those false friends did to the black kids at Choctaw County High School. It grieved my father to his heart, and I’m not sure he ever fully recovered from the hate and ugliness he saw. He left high school a full year early, and left the Deep South as soon as he finished his bachelor’s degree. I wished for him to be here and explain the horror unfolding in front of me on Saturday. I wished to crawl into my dad’s lap and have him tell me that despite all evidence to the contrary, everything was going to be ok. But I know this much is true: Dad never lied to me. And he wouldn’t have lied to me about this, either. Beating back the demon of white supremacy is going to take more bravery than we realize—and it will continue to cost lives and relationships. But it must be beaten back, banished to the lowest hell from whence it came. And it is going to take a lot of marching, candlelight vigils, calls to our elected representatives, and prayers on prayers to do this. In pursuing this kind of peace and justice, we will lose friends—but we might also gain our souls. We may become estranged from family members or be unfriended or unfollowed or have people say ugly, mean things right to our faces. But telling the truth that we are each and all made in the image of the living God is that important. Holding up our end of the Baptismal Covenant, wherein we promise to seek and serve all persons, loving our neighbors as ourselves means that we call hate by it’s right name, that we do not equivocate in order to maintain the status quo. The status quo is costing people their lives. Your kids need to know that. I need to know that. We all need to deal with it. And that is hard. I may not know much, but I do know that love wins. Always. I don’t understand the mystery of how that happens, but I know that it does. Love has never not won, so far. And it will win again. This victory starts and finishes with Jesus, and we are in the midst of it. In the coming days, many of us will march and hold signs and sing songs and be in the big middle of loud, loving action. Some of us will write letters to the editor or make phone calls or create lesson plans. Still others will be the legs of prayer the rest of us stand on, steadying and nourishing us with the love of our community. All of us have a job to do in responding to hate with love, and we are tasked with making our response one that comes from the depths of our hearts. Loving like this may cost some of us our lives, our jobs, or our positions in communities or workplaces. Are we willing to do this for Jesus, and for the love of his people? Your family, my family, all of us together as the family of God—we have a job to do. Our job is to love this strange and sideways world into the dream God has for us to be together—one family joined by one love. How will you and those you are raising find a way to be in the midst of this hard place we’re in? How can we help you do this work? We have to ask these questions, because the ways we choose to answer them will change the world—and provide the soil of love and hope in which we grow each other and our love for Jesus. How can Grow Christians help you dismantle the lie of white supremacy?